Grey B103, 24mic carded wool, 50 gr. DodgerBlue B129, 24mic carded wool, 50 gr. StormBlue B130, 24mic carded wool, 50 gr. Biscuit B164, 24 mic carded wool, 50 gr. Caramel B177, 24 mic carded wool, 50 gr. Almonds B178, 24 mic carded wool, 50 gr. Yellow B182, 24 mic carded wool, 50 gr. 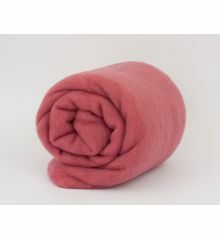 IndianRed B215, 24 mic carded wool, 50 gr. CubanOrchid B218, 24 mic carded wool, 50 gr. Orange B221-2, 24 mic carded wool, 50 gr. SatinRed B227, 24 mic carded wool, 50 gr.